(Middletown, CT.) Chairman Gregory Shook of the Middlesex County Chamber of Commerce announced that the Middlesex County Business to Business Expo will be held on Tuesday, October 11, 2016 at the Radisson Hotel Cromwell. The general public is invited to visit with over 115 exhibitors, from a number of different industries, from 11:00 a.m. to 4:00 p.m. The 2016 Middlesex Business to Business Expo begins at 7:45 a.m. with a Connecticut “Outlook” Tourism Breakfast with featured presenter Randy Fiveash, Director of the Connecticut Office of Tourism, to learn about some exciting new developments and initiatives on the tourism in Connecticut. Opening Ceremonies begin at 9:30 a.m. The Annual Expo Luncheon Meeting, featuring the 5th Annual Small Business Awards Ceremony, will be held from 11:00 a.m. until 1:00 p.m. This luncheon event, also featuring remarks by Commissioner Catherine Smith of the Connecticut Department of Economic and Community Development, is sponsored by Comcast Business Class & Updike, Kelly & Spellacy, P.C with media partner Hartford Business Journal. 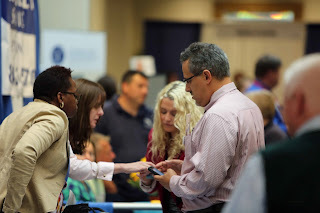 The Annual Middlesex Business to Business Expo Health and Wellness Fair, sponsored by Middlesex Hospital, will highlight best practices for promoting health and wellness in your company and in your life. THIS IS THE PERFECT TIME TO GET YOUR FLU SHOT. The Middlesex County Business to Business Expo will feature workshops several workshops to choose from divided into two sessions. The first session features the workshop of Women in Business: Women in Leadership and How to Succeed. This workshop will be led by Portland First Selectman Susan Bransfield, Durham First Selectman Laura Francis and Haddam First Selectman Lizz Milardo. Another first session workshop is Empowering Women: One Woman Can Change Anything, Empower Yourself and Others! This workshop will be led by Ellen Ornato and Jenny Drescher of ConnectAnd Improv. A business energy-supply workshop, Energy: Your Energy, Your Choice: Helping our Business Customers Understand Competitive Energy Supply will take place. This workshop is sponsored by Eversource and led by Kevin Charette, director of the call centers at Eversource, and Daryush Donyavi, supervisor, electric energy supplier services at Eversource. A workshop, Digital Strategy for your Tourism Business, will feature information on how to create an up-to-date digital strategy to enhance your business practices, increase your productivity and grow your revenue. Business Development for Eversource. Additionally during this time a Tourism Brochure Swap will be led. Lastly, a workshop geared toward young professionals, Communicating in the Digital Age, will provide best practices for tapping one’s personal and leadership capabilities around the communication of digital social media, written communication, such as business writing and blogs; personal branding, public and small-arena speaking and nonverbal communication. At 3 p.m. Connecticut Chamber Health Plans will be holding an informational event on health insurance in Connecticut. From 3:30 p.m. to 5 p.m., the Tourism Council will present a Let’s Make A Deal, package deal creation event. The members only Executive Evening Event, to be held from 4:00 p.m. to 7:00 p.m., will feature a great spread of complimentary food, beer, wine, and non-alcoholic drinks, over 115 exhibitors, raffle prizes, and terrific networking. Also included in the Executive Evening event is the Witch’s Brew, Lorraine C. McHugh Scholarship Benefit Room. Proceeds will benefit Business Industry Foundation of Middlesex County. Chamber members can register online for ExecutivCoe Evening at www.middlesexchamber.com. For more information, or to register for Expo events and activities, please visit www.middlesexchamber.com.